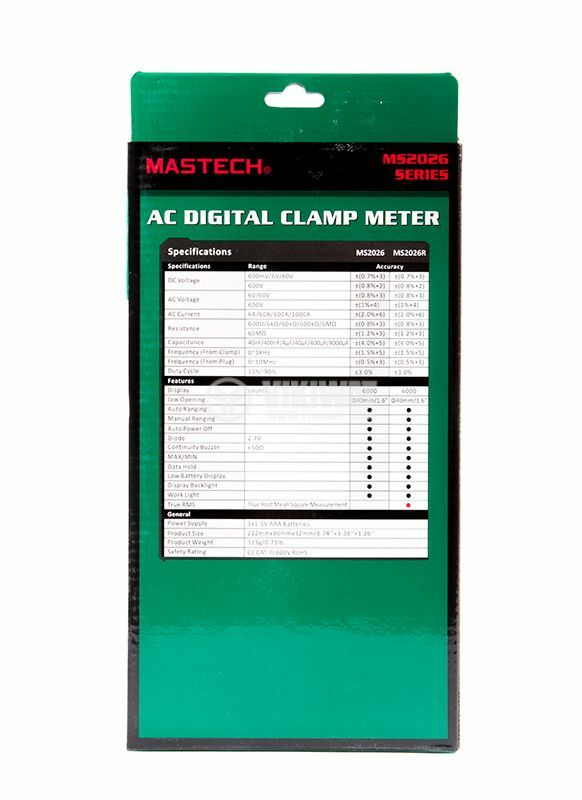 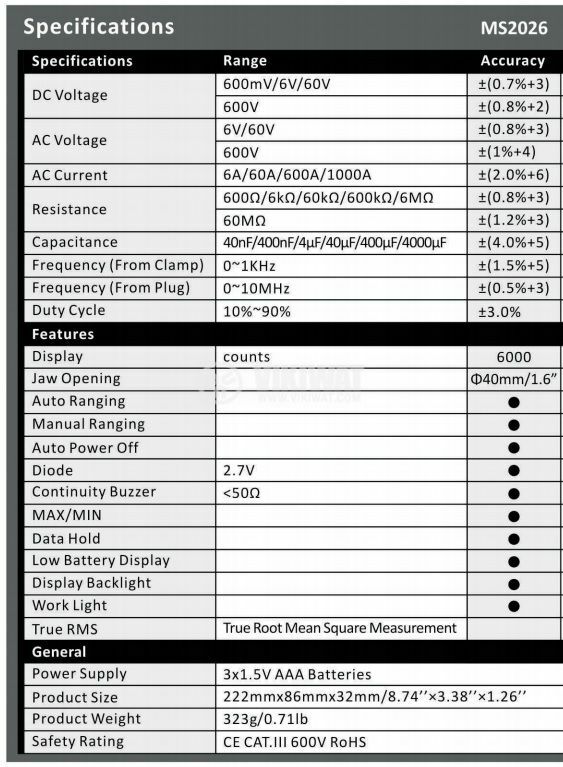 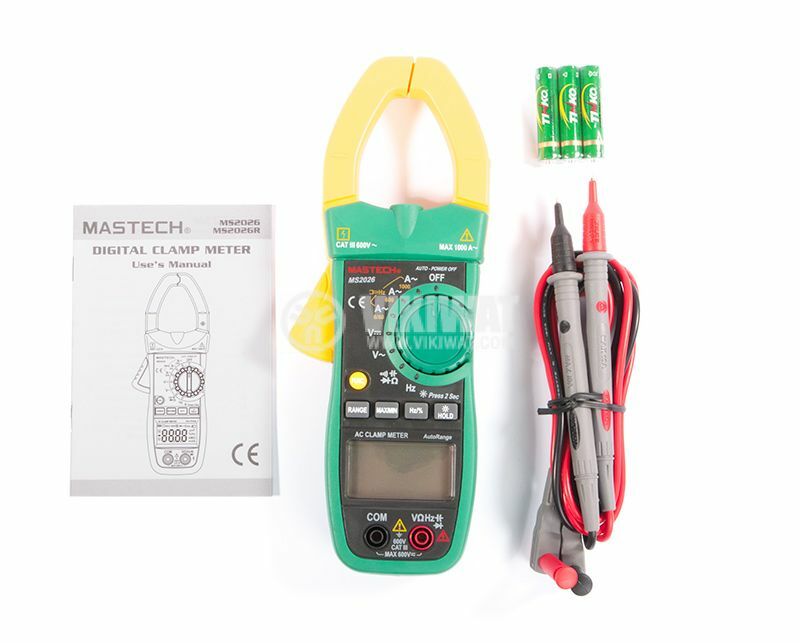 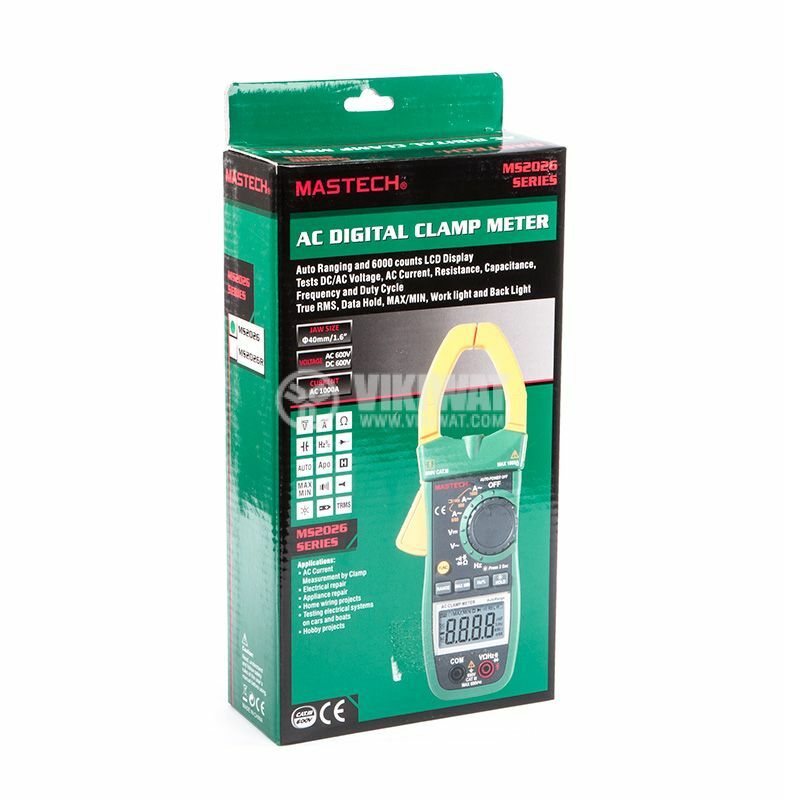 AC current clamp meter MS2026 is a portable measuring instrument with LCD display.. Max 1000Aac. 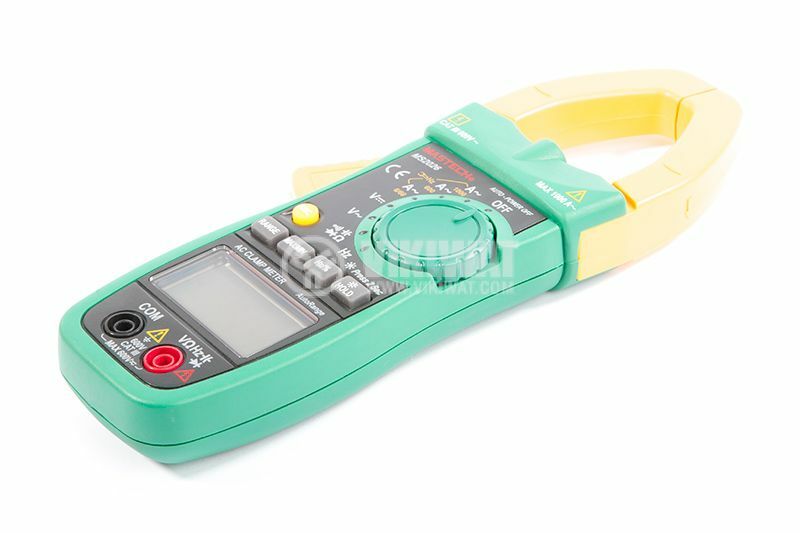 Current clamp meter measures AC current, AC/DC voltage, resistance, capacitance, frequency, continuity test. 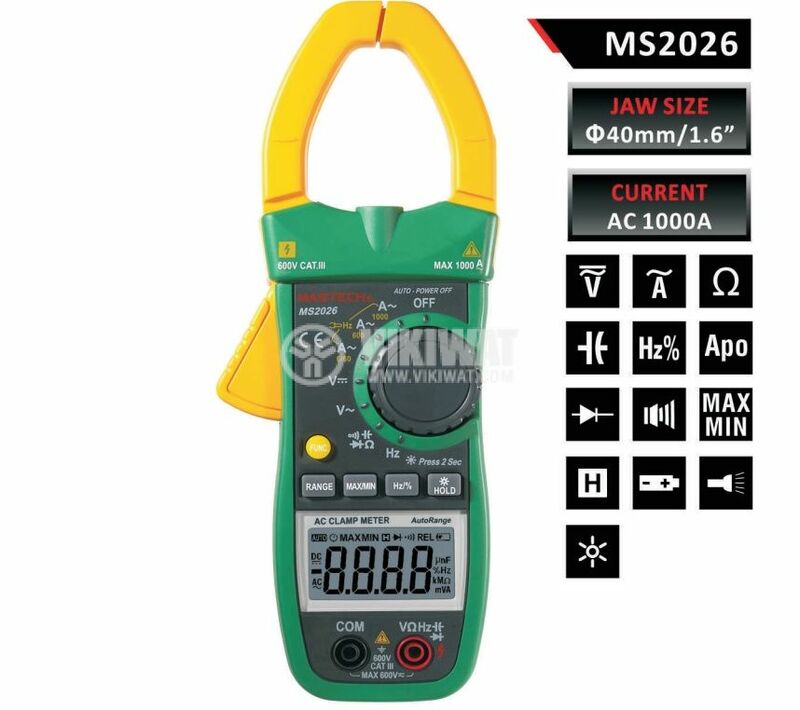 For easy and precise measurement of different electrical values (current, voltage, resistance, frequency and capacitance). 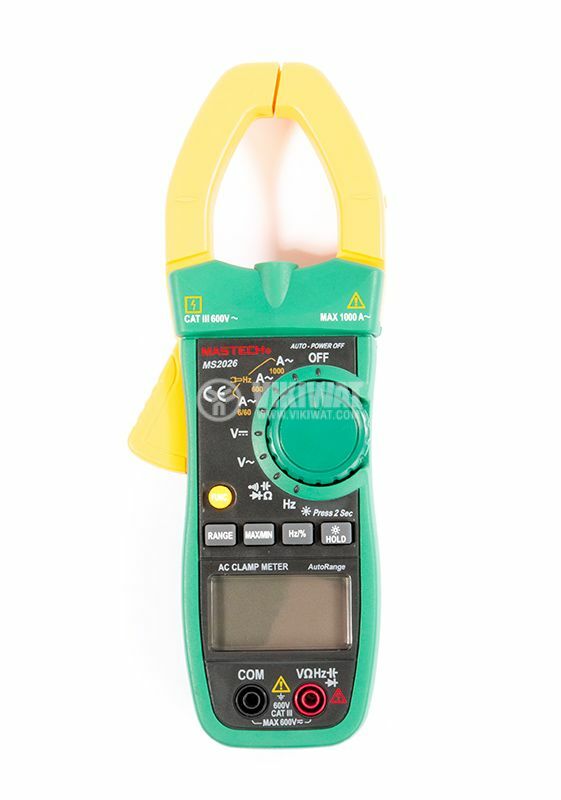 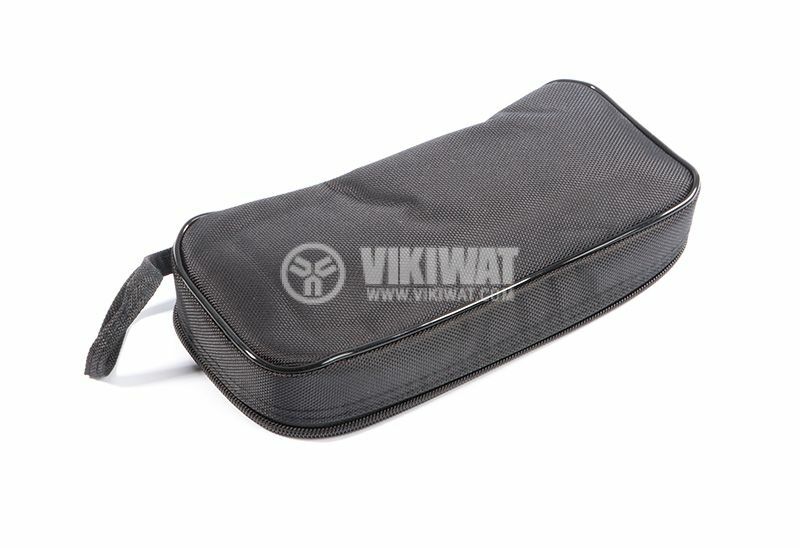 battery - 3 x 1.5 V - AAA.